Knowing your curls well is the key to get them to behave the way you want them to. 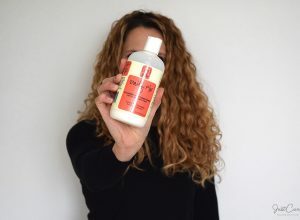 However easy this might sound, believe me, it’s one of the most difficult things in the life of a curly… Since we’re always told to keep our curls well moisturized, we sometimes overdo it when it comes to using conditioner on our curls. 1. Your roots look greasy – on your washing day! 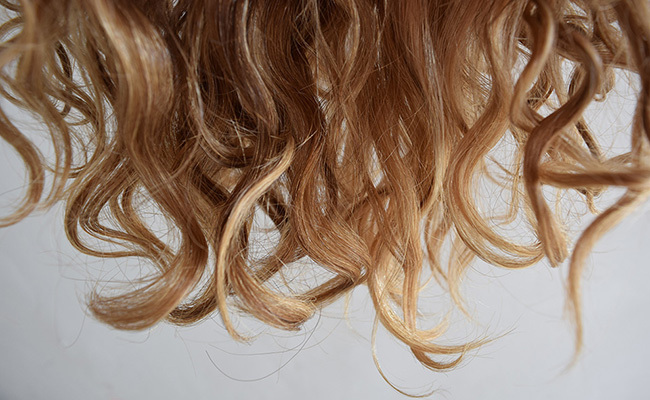 For curly hair it’s almost impossible to look greasy right after you’ve washed it. 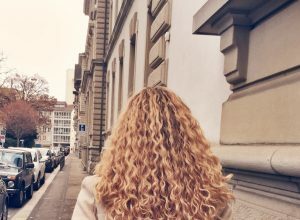 If the roots of your curls look greasy, it could either be due to over-conditioning or because you’ve used too much of your styler (some stylers could leave your curls looking greasy). So try to use less styler first and if this doesn’t do the trick scale down with your conditioner. No matter how desperately you’re trying to clip your roots, they just can’t seem to hold their volume anymore. Having a flat top doesn’t automatically mean you’ve over-conditioned your curls. You should be watching out for “sudden” changes, e.g. your roots just seem to be extremely flat lately. 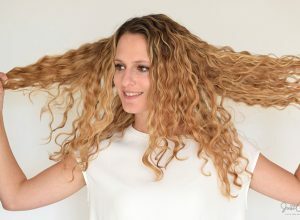 Using too much conditioner on your curls will eventually cause them to hang down, so if your curls suddenly seem to be less voluminous than before, it could be due to over-conditioning. Please be careful when taking this sign as an indicator of having used too much moisture, as using a new styler could also weigh down your curls..
Having super shiny curls is actually a good thing we’re all looking to achieve. But if your curls are extremely shiny while you also notice another of these 5 signs, try to reduce the use of your conditioner a bit. If you’re looking to get shinier curls without over-conditioning, try this hair oil. The fifth sign is really hard to explain as having soft and at the same time stiff curls might seem contradictory. But I’ll give it a try: My curls sometimes are extremely soft and shiny, but when I try to move them into another position they are stubborn and just go back into their initial position. With these kinds of curls it’s almost impossible to do any kind of hairstyles. I’m experiencing weighed down hair and flat top and I am sure it’s because I need a desperate trim since my hair is now past my shoulder, not because of too much conditioner. I’m getting a trim tomorrow if that doesn’t correct the problem then I’ll look into the conditioner. Thanks for the advice. Yes, this could also be the reason for having a flat top – how did your haircut turn out? Do you now have a better volume at the top? Hi I’ve been told I have symptoms of over conditioned hair. I was also told that I could benefit from protein treatments from time to time. Almost a week I ago after my own research for a protein treatment I decided to buy a Shea Moisture Tahitian NONI Weekly hair and scalp therapy. I was told this would be considered a protein treatment. Followed the directions. Didn’t leave it in for 20-40 minutes, left it in for 5 minutes, rinsed well. Directions said to follow up with Shea condish product. 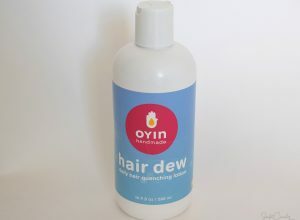 Didn’t have that and asked if I could use Deva One Condish and that was ok.
What happened was my hair got very soft, fluffy and lookes like I rubbed a balloon over my head’, curls are not defined but fluffy. Also products won’t really take well like gel or mousse. Was told that I over conditioned my hair. Now since I thought I was doing good with doing what I thought was a protein type treatment and also got the green light that it was a good product I don’t know what to do. 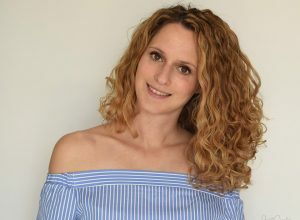 What were your curls like before you tried the protein treatment? Are you sure your curls actually needed it? I have had curly hair my whole life, but I went through a phase of straightening it everyday and bleaching it every month so my hair became very damaged and just completely ruined my curls. I got my curls back and have very healthy hair now, but because of that phase my hair is thin. I also have very little volume, though I had never considered the excessive conditioning, I was just wondering if there was any way, or tips, for making my hair thicker. I would love to know! Thanks! Hi Mattie, how long ago was that phase when you used to straighten your curls? It does need a lot of time for your hair to “forget”, because it needs to be grown out (depending on your hair’s length this could take a couple of years). I am unfortunately not aware of any products that could thicken curls, instead I would just suggest using light styling products that don’t weigh your curls down. If you’re not struggling with frizz, I think you could also completely wash out your conditioner (to keep your curls as light as possible and thus getting more volume). I went through that phase about 2 years ago..but I have every last piece of the damaged hair gone, now it’s just all natural and a little past my shoulders. I did recently try using less conditioner, yesterday actually, and that did help a lot! I also used the tip for getting volume (with the Bobby pins) and that helped a ton too! Thank you so much!